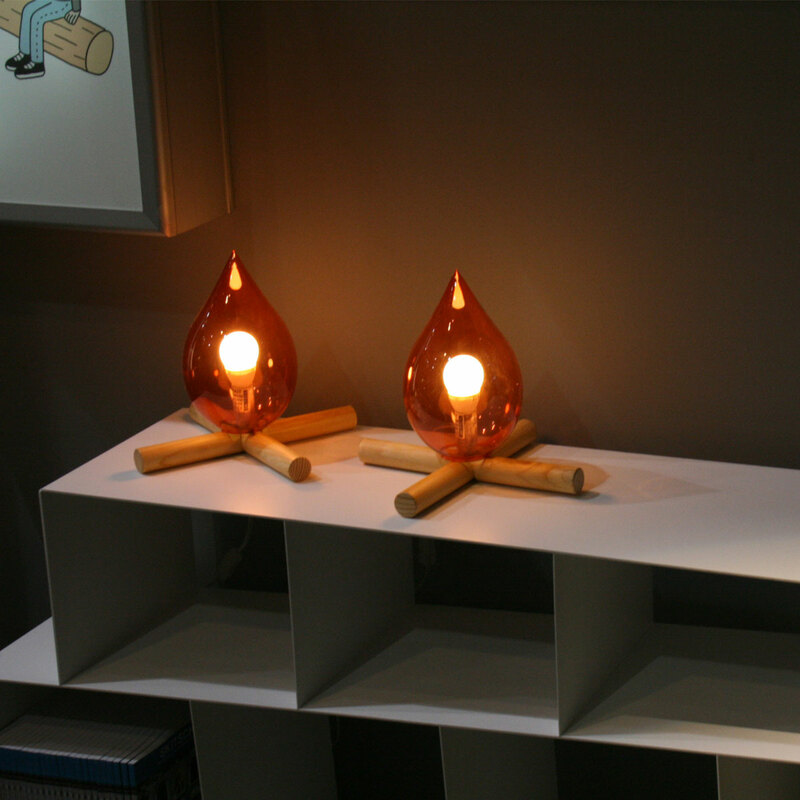 Since ancient times, man has been forging objects inspired by nature. 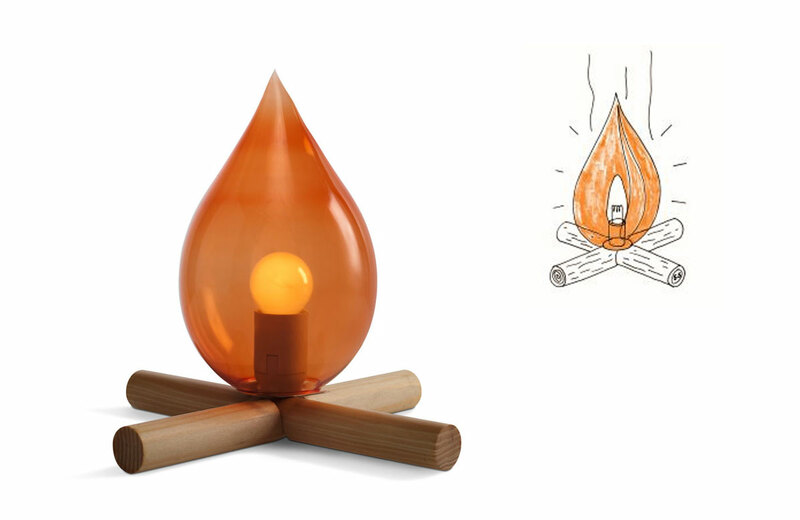 The idea is to return to the origin of artefacts by building a lamp that looks like the bonfires on the beach. 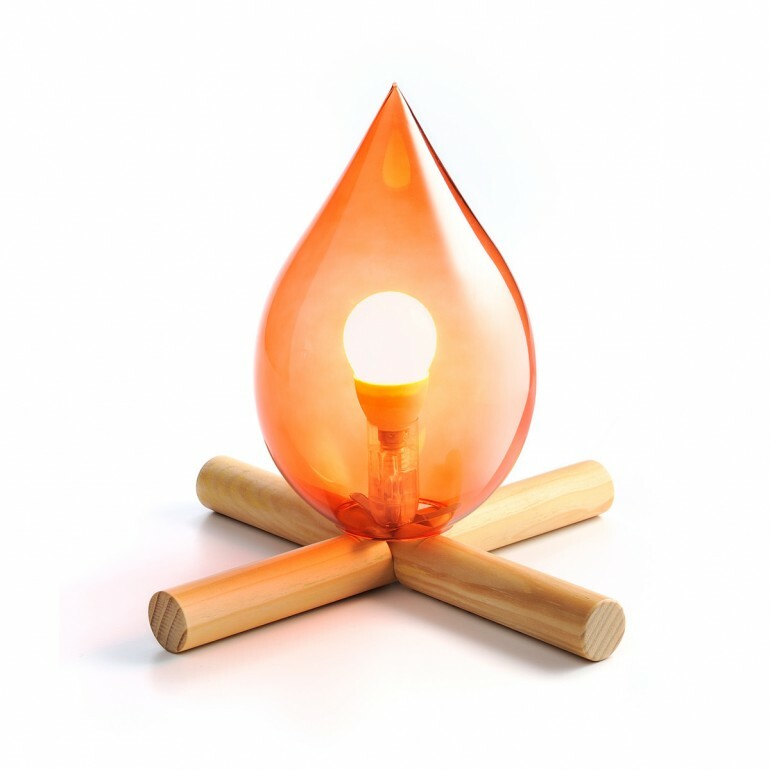 The base is made of two crossed wooden elements supporting a Murano glass flame that contains the bulb. The light creates the illusion of a picnic on the beach.